Cyclist's bike lodged under car that hit her. A 78 year old driver struck a female bicyclist yesterday in Rolling Meadows, dragging her some 20 feet underneath his vehicle, according to The Daily Herald. 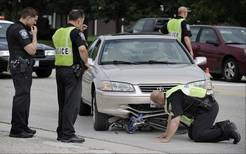 After she was extracted from under the car, the cyclist was taken to Northwest Community Hospital in stable condition. The nature of her injuries is not clear from news reports. The incident occurred at around 9:20 a..m. at a commercial driveway exit located at 2905 Algonquin Road, according to the Herald. The 34 year old woman was riding legally on the sidewalk when the elderly man exited the parking lot of a cafe and struck her. The woman and her bicycle were lodged under the vehicle for a period. The driver was ticketed for failing to yield to the bicyclist. 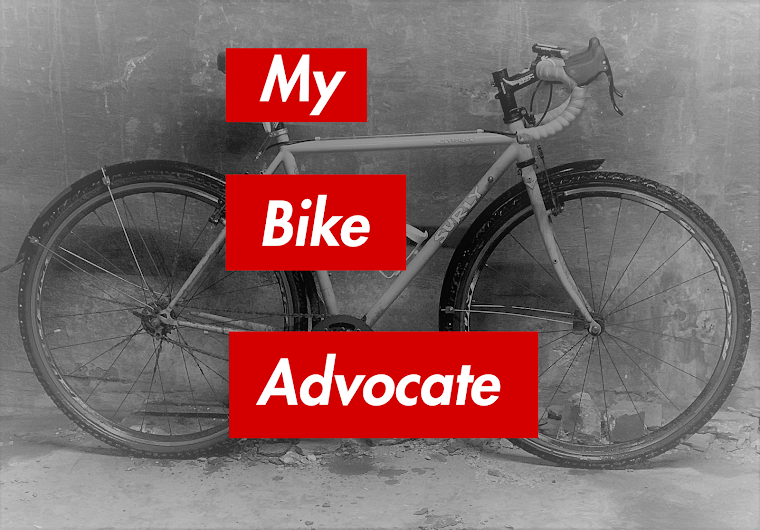 A person propelling a bicycle upon and along a sidewalk or across a roadway upon and along a crosswalk shall have all the rights and duties applicable to a pedestrian under the same circumstances. It is not clear from reports why the driver continued on after striking the woman or why he failed to see her in the first place. The question is why he did not see her in the first place. At 15 mph a vehicle moves 22 feet per second. Add normal reaction time and it is amazing that he *only* dragged her 20 feet. Wow, I am just happy yo hear she was alright, My brother in-law has had a few close calls due to bicycle accidents. He was hit twice in the same week, but luckily not fatally, He is better now though. People have to be educated that riding on the sidewalks is illegal - better to ride in a lane and take control of it. It's the only way to avoid *most* of the common types of car-bike accidents.